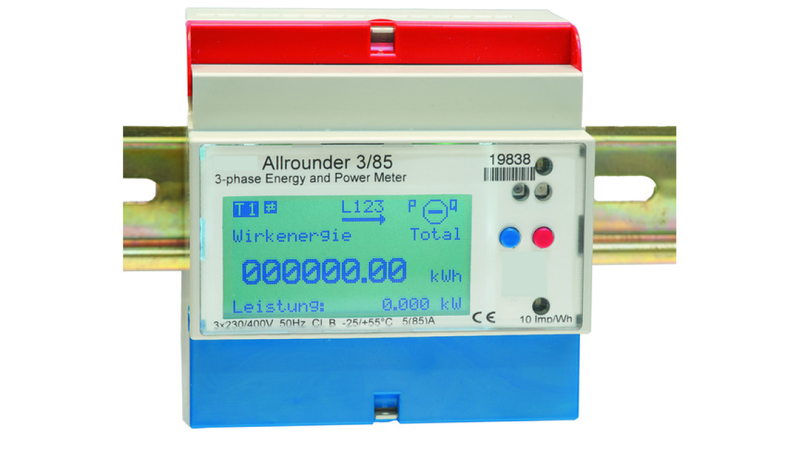 The energy meters "Allrounder" and "Professional" (direct connection up to 75 A or current transformer for x/1 A and x/5 A)are setting new standards in the complexity of data collection in the scope of DIN-Rail-Energy meters. A multiplicity of measurement data can be transferred by a multiple of readout interfaces. The instruments offer the highest standard of flexibility. The energy meters are used in the industry, panel board manufacturing, trade and also by private users. With the SO output impulse and optional read-out interfaces (M-Bus, KNX, TCP/IP, LON or MODBUS RTU-ASCII) the processing of the measured energy data is guaranteed, a. o. cost center accounting, central building control systems and energy management. A useful building management system is only possible, if all appropriate consumption values are recorded continuously. With the S0-Impulse-Logger or M-Bus-Logger this is possible in a very easy way. Both utilize the interface of water meters, heat meters, energy meters, gas meters.